As a child, Katheryn Russell-Brown remembers enjoying books like The Snowy Day by Ezra Jack Keats and cherishing the coloring book, Color Me Brown. Her mother made sure she saw affirming images of herself. When Katheryn became a mom, she wanted the same for her twins. “I was determined that they were going to have realistic and interesting images of themselves reflected in our home library, ” she wrote in this Brown Bookshelf post. As she collected books featuring brown children, she began dreaming about writing them herself. 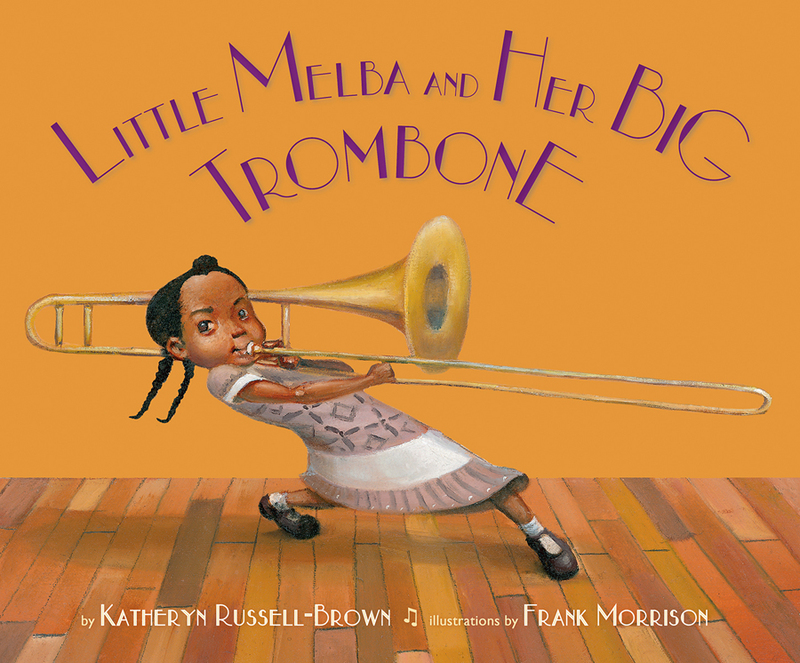 Katheryn’s debut picture book about pioneering trombonist and arranger Melba Liston, Little Melba and Her Big Trombone (illustrated by Frank Morrison, published by Lee & Low) was inspired by listening to Nancy Wilson rave about her work on a radio program. For Katheryn, professor of law and director of the Center for Race and Race Relations at the University of Florida, raising awareness of Melba’s work became a mission. She used her expert research skills and gift of writing to create a winning story that has been featured on many best lists and has received multiple honors and starred reviews. Patience and perseverance. I had to rely on both of these throughout the years-long process of finding an agent and publisher for my first children’s book. Patience is the key to getting through the process. What was particularly unnerving was the wait after sending out query letters. Most times the response was by snail mail—a form letter that basically said thanks but no thanks. Sometimes the rejection came in e-mail form. A few responses came quickly, but sometimes I didn’t hear back for months. Then there are those agents and publishers who never, ever responded to my query letter. With each rejection I dusted off my bruised feelings and kept going—believing that someone would “get” my story and see its potential. It also helped that I had a mentor, a published children’s book writer, who kept encouraging me to send out my manuscript. After a few months of mostly silence, I started hearing back from agents who expressed a little interest. Ultimately I went with Adriana Dominguez at Full Circle Literary. 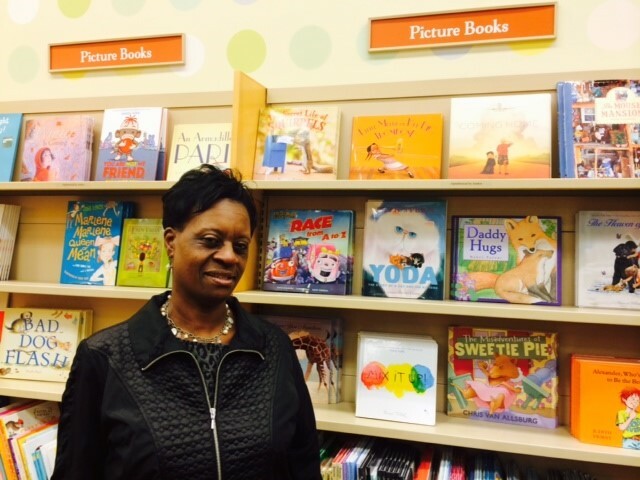 She was very knowledgeable about the business of children’s book publishing and she expressed sincere interest in working with me as I develop and grow as a writer of children’s books. She has been fantastic to work with. Picture book art. Frank Morrison somehow managed to bring Little Melba to life in ways that I could not have imagined. Simply divine. I’ve only published one children’s book. So, I can’t say that I have my process down to a science. I have, however, written non-fiction books for adults (on race and the criminal justice system). Also, I’ve written a few other children’s stories that have not been published. I keep different journals. One is for story ideas. Another is for expressions, words, phrases, etc., that I’ve come across—maybe from a newspaper article or from a story I’ve heard on the radio—something I might use in a future story. Once I select a topic, I start gathering information. I always keep a journal for the book I’m working on. In this journal I write and clip any information or research on my topic area. Also, any books or other resources that I can use, or people who I may want to contact to ask some questions about the topic or person I am writing about. When I finally begin to write the story, I will have a general outline of how the book should go, from beginning to middle, to end. However, I don’t limit myself to a set number of words. I just write! I save the editing for later. This is my “big pot” approach. I put all my words into the pot (onto the page) and then, after the pot is full, I start to take things out that don’t (or can’t fit) the story I’m telling. After I have a solid draft—a completed story—I take it to my local Society for Children’s Book Writers and Illustrators (SCBWI) group for feedback. Then I edit some more. 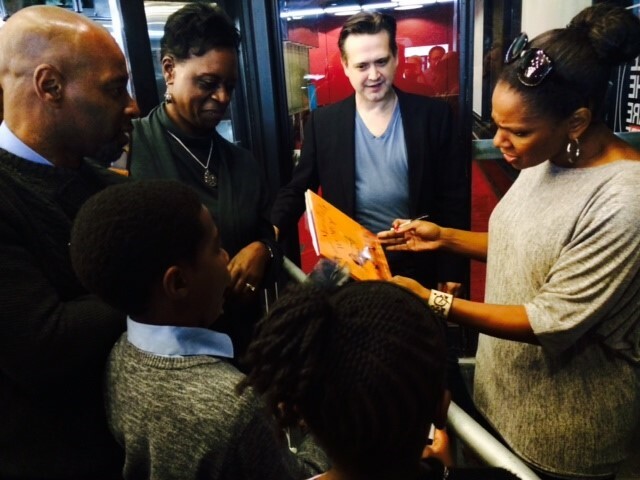 And, I edit, edit, edit, edit, edit…..
Six-time Tony Award winner Audra MacDonald holding Little Melba (September 2014). Find out more about Katheryn Russell-Brown on her website. Fabulous article – thank you! I am just waiting for your book to arrive at the moment – I share a music-themed story at the end of each session with my small choir group of 5-7 year olds and I just know they are going to love it! This one needs to be in our school library. I’m really enjoying each of these posts. So many new ideas for books for our school. Thank you! I love this book. I am glad it is getting the recognition that it deserve. I love learning about other African-American’s positive contribution to society. “I’ve only published one,” she says, but it was indeed a good one. Congratulations, and can’t wait to see more, Ms. Russell-Brown!